I bet that when you think about enhancing your outfit with a statement piece, what probably comes to mind is incorporating a ‘bold’ color such as red, purple, or yellow. But have you ever thought about white as being your pop of color? If you’re looking to make a bold statement, accessorizing with white is a smart way to go. First, this neutral isn’t typically considered as a ‘go-to’ accent color, so if you use it, you will stand out! Also, it matches with pretty much everything and you can use it any time of the year (yes, even after Labor Day!). When it comes to clothing and accessories, I regard the color white as being elegant, sharp, sophisticated, clean, crisp, and luxurious. Always. So, it’s a best bet! 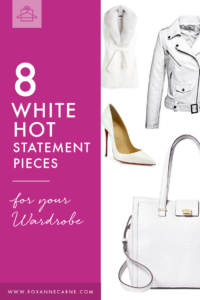 When considering which white items to style, you’re not limited to traditional accessories such as jewelry, shoes, or handbags. You can incorporate a statement jacket, for example! 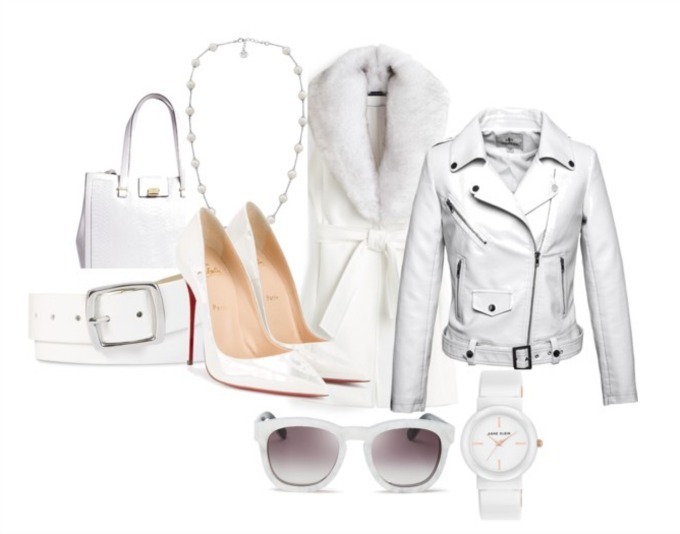 I’ve pulled together a few white statement accessories to inspire you. You can view the full lookbook or take a closer look at the individual items below. Click the image above to access the lookbook! 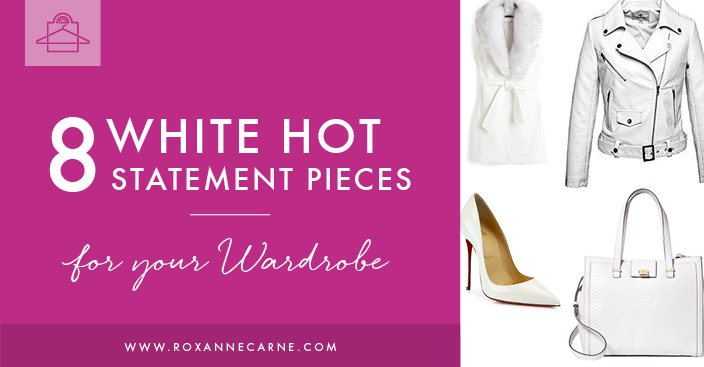 I’d love to know how you plan on styling your white statement piece! Tag me with a pic on Facebook, Twitter, or Instagram!